If you want to elevate your party to a whole new level, why not think about booking a singer? Their skill sets are extensive, and depending on your party style - it's couldn't be simpler to find an ace act to raise the roof at your party. Jazz and Blues singers are great for those big birthdays, whilst country singers are ideal for a bit of fun where heels are clickin' for a line dance. For style and sophistication, a cover singer will put out those songs that have relevance for you - and each singer will have a well rehearsed and ever growing repertoire. They can help you put together a play list that will perfect for background entertainment or an all-out show - the choice is yours! Find out more about the types of singers available to book for your event. Find a Singer for hire near you in minutes! Option 1. Enter your event location below & contact a Singer directly! Option 2. Request multiple quotes from available Singers Get Quotes! Option 3. Read information & advice on hiring Singers Read Advice! Finding the right Singer is easy with our unique and comprehensive guide. Bursting with essential tips and answers to all those niggling questions, we help you book with confidence, so that you and your guests can relax and enjoy a truly fantastic and memorable event! - WHAT WILL A SINGER DO AT YOUR EVENT? - WHAT TYPE OF EVENTS ARE SINGERS HIRED FOR? - HOW MUCH DOES A SINGER COST TO HIRE? - HOW LONG WILL THEY PLAY FOR? WHAT EQUIPMENT AND SET UP REQUIREMENTS WILL THERE BE? DO I NEED TO PROVIDE FOOD? WILL I HAVE TO COVER TRAVEL EXPENSES? WHAT HAPPENS IF THE ACT CANCELS? WHAT HAPPENS IF OUR EVENT IS CANCELLED? CHECK & CLARIFY DETAILS IN ADVANCE! - HOW CAN I FIND AND BOOK A SINGER FOR AN EVENT NEAR ME? WHAT WILL A SINGER DO AT YOUR EVENT? Singers attend special occasions such as weddings, parties and corporate events, to perform live music for entertainment. They can be accompanied by great quality, professional backing tracks, a live guitarist or keyboard player, or a full band. It’s possible to find a singer to perform any genre of music, from rock ’n’ roll to opera, and nothing is more certain to give your guests a thrill and bring a touch of magic to your event. WHAT TYPE OF EVENTS ARE SINGERS HIRED FOR? A live singer will create a real buzz at a wedding, anniversary or party and will add genuine sparkle and excitement to corporate events such as product launches, sit-down dinners and award ceremonies. Whether you’re looking for up-front, stand-out vocals to wow the crowd at a big celebration or birthday bash, or you’re in need of some ambient background music for a cocktail party or after-dinner entertainment, a singer can deliver! This all comes down to what type of event you’re planning, how many people will be attending, the age range and musical tastes of your guests and what kind of atmosphere you’re hoping to create. Looking for a charismatic performer who can sing and play like Sheryl Crow or Ed Sheeran? Want to be serenaded down the aisle on your big day, or create a mellow mood at a dinner or drinks reception? Or do you need live music to draw people in at a trade show or shop opening? Guitar Singers are perfect for smaller events such as wedding receptions and for hotels and restaurants requiring mood music. Performing gentle songs that blend into the background, they can add a warm atmosphere to any dining room or lounge area. Or, with infectious renditions of pop, jazz and folk hits, they can get people talking, singing along and having a great time! Guitarists who sing are ideal for events that require live music without hiring an entire band, and for venues with a small stage area. They can perform unplugged when required or use a PA system for more volume at a larger event. You can find musicians on Entertainers Worldwide who cover everything from The Beatles and Neil Young to Joni Mitchell and Laura Marling - and their repertoire often goes beyond the usual guitar music. Guitar Singers have a wealth of popular hits to choose from and can mix up rock songs, jazz standards, motown, soul, pop, reggae, slow songs and upbeat crowd-pleasers, to get everyone at your event enjoying great sing-along moments. The catalogue of music for Pianist Singers includes timeless classics by Ray Charles, Elton John, John Lennon, Paul McCartney and Billy Joel as well as newer favourites by Coldplay, Jamie Cullum, Vanessa Carlton, Diana Krall and John Legend. The piano is such a versatile instrument that a singing piano player can perform pop hits, dance tunes, rock songs, soul music, romantic ballads and much more! Nothing creates a warm atmosphere on your wedding day quite like the tinkling of the ivories, so this is a great way to create a relaxed atmosphere while your guests socialise in between photos, speeches and cutting the cake. A Pianist Singer is also an excellent choice for a cocktail party or after-dinner entertainment, where they deliver slow piano ballads and smooth jazz, adding elegance and flair to the occasion. Female singers are hugely popular and often requested for weddings, corporate functions, birthday parties, charity fundraisers, awards dinners, bar mitzvahs, trade shows, product launches, conferences, dinners, company promotions and more. There is something undeniably special about a female vocalist, with emotion and intensity carried in their tone and delivery. Filled with expression and a fantastic range, she can belt her way through the pop diva hits of Beyoncé, Whitney and Mariah or lift the soul with heart-stopping versions of Aretha. She can also get your party rocking with Cher, shimmying with Tina Turner or bopping with Katy Perry. Or she can deliver a sultry mood with Amy Winehouse. Whether you prefer classic pop, soul, motown, love songs, piano ballads, dance tunes, rock, jazz, or a bit of everything, a female singer, with some of the greatest songs ever written at her fingertips, will leave your guests breathless. Adele, Rihanna, Britney Spears, Christina Aguilera, Alicia Keys, Celine Dion, Lady Gaga, Carrie Underwood, Nina Simone, Ella Fitzgerald, Diana Ross...the list of sensational female singers is endless, so there’s plenty to choose from! Are you a rocker at heart? Then consider hiring a Male Vocalist specialising in music from the ‘50s and ‘60s. They can rouse even the sleepiest of crowds with lively versions of songs by Elvis, Chuck Berry and The Beatles. Organising a 16th birthday party? A contemporary Male Singer can bust out chart-topping hits by James Bay, Bruno Mars and George Ezra, to the delight of every teenager there. We all love to hear our favourite songs sung by a professional singer and here at Entertainers Worldwide, we have an astonishing range of Male Singers to choose from! Whether you’re planning an office party or a family fun day, it’s the frontman’s job to get the crowd clapping and singing along, creating just the vibe you’re looking for. From modern pop and soul, to jazz, swing and musical theatre, we’ve got all eras and genres covered. There is no question that having a live male singer perform at your wedding is much more exciting than just hiring a DJ - although you can always do both, so that there’s someone to keep the dance floor packed in between sets. Your guests will be thrilled as a live singer serenades his way through disco classics, Motown hits, soul favourites, and rock and indie winners. Forget awkward or stuffy office parties and corporate events. Why not hire a Male Singer to expertly break the ice and loosen up colleagues and clients. Before you know it, their fabulous voice will have you dancing the night away with your co-workers and give everyone plenty to talk about in the office the next day! If you’re organising a retro or vintage-themed event, you’re going to need a Jazz Singer. Lower the lights, fill your glass and get that low-down feeling as one of our talented Jazz Singers performs songs by Frank Sinatra, Dean Martin, Nat King Cole, Michael Bublé and Gregory Porter. Or, if your guests enjoy dancing, request some Duke Ellington and get that party started! For a Mardi Gras style event, don your feathers and beads and let-the-good-times-roll with some New Orleans swing and rhythm and blues, or if you’re planning a roaring twenties, speakeasy theme, why not go for 1920s Chicago jazz, with hits by Benny Goodman, Louis Armstrong or Jelly Roll Morton, and invite your guests to dress up as flappers and gangsters! Of course, Jazz Singers are also perfect for wedding receptions, cocktail parties and after-dinner entertainment, adding a mellow mood to any sophisticated gathering with smooth, luscious sounds. Want to really add a touch of class and sophistication to your corporate event? It doesn’t get much more glamorous than hiring an Opera Singer. Just imagine hearing live the spectacular arias made famous by Luciano Pavarotti, Maria Callas and Plácido Domingo. José Carreras and Kiri Te Kanawa will be with you in spirit as your guests revel in some of the most exquisite music ever written, including excerpts from Mozart, Puccini, Strauss and Gershwin. As with other solo vocalists, classical singers can either perform with pre-recorded backing tracks (today, the quality of these is remarkable) or be accompanied by a live Pianist. Classical Singers are particularly well suited to weddings, corporate events, anniversaries, dinner parties and drinks receptions. For a truly uplifting experience that you guests will remember for a long time, check out our choice of classical and opera singers. Other popular categories of Singers are Production Singers, Song & Dance Acts and more recently a growing number of enquiries & bookings for A Cappella Groups. If you’re planning your special day then you may want to hire a singer to add a touch of magic to your wedding registration/nuptials. Having a professional singer perform your favourite romantic song as you walk down the aisle is a wonderful way to make the moment truly memorable for you and your guests. Just imagine a talented Pianist Singer performing Elton John’s ‘Your Song’, or Coldplay’s ‘Fix You’ as your guests arrive, or as you walk down the aisle. There won’t be a dry eye in the house! You can also book a vocalist to provide warming background music during your wedding breakfast, creating an easy-going and relaxed vibe in between speeches and during photographs. Post ceremony, why not add the dulcet tones of a professional singer to set the mood, so that friends, family and the happy couple can fully relax and embrace the social side of the wedding day. At your drinks reception, you can start to inject more energy with up-beat songs, setting the tone for the evening celebrations to come. Hiring a performer to sing for you on your big day is a unique and special way for you to start married life together and will create memories you can both cherish forever. Popular choices of singers for weddings include Female Singers, Guitar Singers, Pianist Singers and Classical Singers. HOW MUCH DOES A SINGER COST TO HIRE? Singers and bands will charge more at key times of year such as Christmas and New Year’s Eve. Of course, we all need to watch our budget and costs can mount up when putting on an event, but it’s worth paying for a reliable singer who will turn up on time and deliver a great evening’s entertainment. See our Essential Tips below for information on booking terms and conditions. Before they even attend your event, singers will have spent hours, weeks, months and years developing their vocal range and repertoire, paying for lessons, sheet music , rehearsal and studio time. Then there are equipment, costume and marketing costs and travel and set up time. All singers need to factor these things in, on top of their actual performance time. We’re here to help you find the perfect singer for your occasion and budget, with our easy-to-use entertainment directory which allows you to search for the best singers who are local to your area and then use the contact form to message them directly and ask for a no-obligation quote. You will find that some acts also add a rough price guide to their profile. Since the prices vary, we highly recommend getting in touch with your chosen performer for a completely free, no-obligation quote. Set lengths for singers vary from 15 minutes to 1 hour. Two 45-minute or 60-minute sets are typical but this can be discussed when you contact the act and singers, who are generally happy to accommodate all requests. If your event is due to last all day, you can speak to your chosen singer and agree on a schedule together. Extra or longer performances will cost more, so keep an eye on your budget. When choosing your venue, it’s a good idea to consider the type of event you’re planning and how much space you’ll need. Is your singer performing solo or with other musicians? If they are a Piano Singer, are they playing a full-sized piano or an electronic keyboard? Will you need extra room for a DJ or host? Is there room for equipment such as speakers? Is the room big enough for all of your guests? Is there parking and easy access, allowing for easy set up? *Solo performers may need more space if they are bringing a PA system and monitors. While not all singers expect the luxury of a fully-fitted dressing room, they will need somewhere away from the guests, ideally with a mirror, to get changed, warm up and relax in between sets. A small room or back office is often sufficient. A lot of singers will provide their own equipment, including instruments, microphones, amplifiers, PA system with monitors and a mixing desk, and even basic stage lighting - but this will vary with each act so we advise checking when you book. It usually takes an hour to an hour and a half for a singer to unload their equipment, set up and sound check. They will need a safe supply of electricity and power point sockets near the stage area. They may have travelled some distance to get to your event and have a long night ahead. If you are able to feed your act a proper meal and provide soft drinks, they will love you forever. Singers usually require a deposit of around 15-20% of the overall cost, in order to secure the booking. This protects the performer against lost income in the event of cancellation, and also gives you reassurance that you have a confirmed booking. These will usually be included in the quote you are given, as the singer will need to calculate their travel costs, especially if they are travelling some distance. Thankfully this rarely happens, but in the unlikely event that, due to illness or other unforeseen circumstances, the singer is unable to perform for you as agreed, they will usually have a back-up plan. They are likely to send a similar performer in their place, at no extra cost to you. For confirmation of this, you can check the Terms and Conditions in your contract. question. For example, cancelling 90 days before the event might incur 75% of the overall fee, while cancelling less than 30 days prior might mean paying the entire sum. These conditions should be laid out in the contract you receive when booking, so check before signing. If you have any reason to think your event may not go ahead as planned, it would be better to let your singer know as soon as possible. Ideally, the singer you hire will have Public Liability Insurance. This covers them in the event of a claim, should any members of the public or guests be injured at your event, or any damage be caused to property. If they are members of the Musician’s Union or Equity, trade unions that represent live performers in the entertainment industry in the UK (or the American Federation of Musicians in the U.S.), this gives you extra reassurance that they are professional and trustworthy, fully insured and abiding by industry standard contracts. When it comes to practicalities, it’s always preferable to discuss them in advance, to avoid any problems on the night. Whatever questions you have, however silly they might seem to you, you can bet they’ve heard them before, and worse! So, don’t be shy - good communication is the key to planning a great event. Booking a singer is easy with Entertainers Worldwide. You can search through different types of singer, view their profiles and read their all-important reviews. Some of our listed acts also include video samples of their performances. Once you’ve found the singer you want to book, simply use the contact form on their profile page. We are not an agency, so you can deal directly with your chosen group, with no extra booking fees or commission to pay. How can I find and book a SINGER for an event near me? Using Entertainers Worldwide, you can search and browse hundreds of types of Singers! Search now to find a Singer for your event, or Request Multiple Quotes from a selection of singers - complete this form - this is a free service. 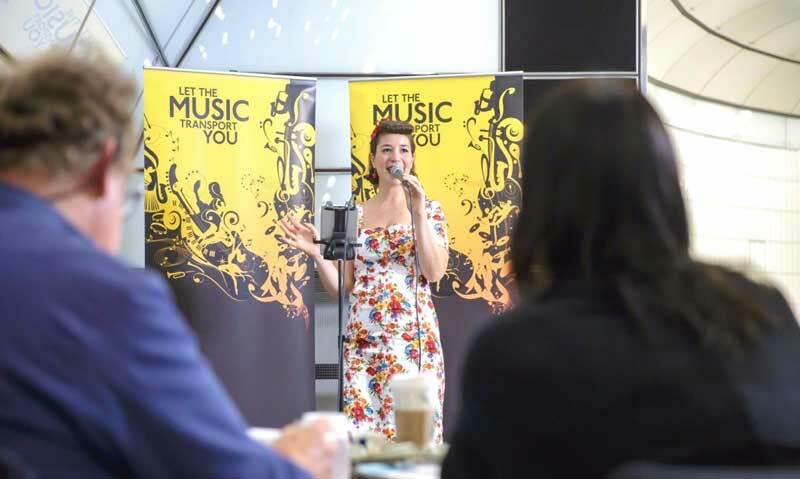 (If you are a professional singer and have searched for "singing auditions near me", you can view all of our singer auditions, singer gigs & singer jobs by clicking here - singing auditions near me).